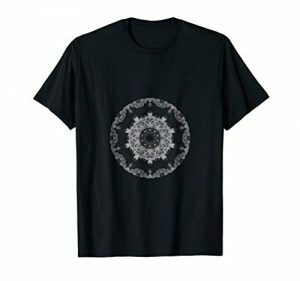 This tee with an exclusive healing crystal mandala design paired with your creativity with fabric markers will combine to make a shirt that is uniquely yours. While it started as an Amethyst healing crystal, you can make it any color you want! Be sure to post pictures of your t-shirt after you color it in. What color palette will you choose? Let the child in you out to color and show your individuality. 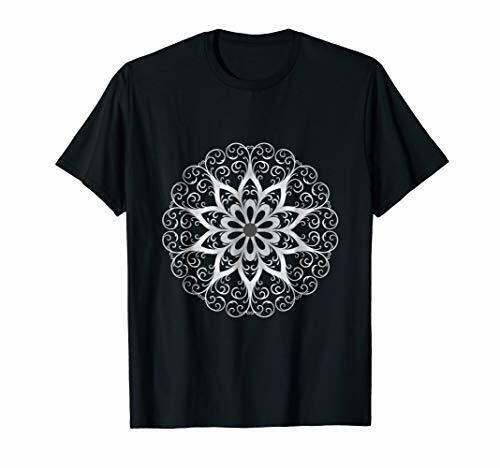 Perfect for yoga, hiking, working out or just walking around town spreading some mandala and crystal love. Exclusive art and photography of Deborah Carney, Inspirational Goodies – photograph of a healing crystal (Amethyst) converted to a unique mandala then converted to an image for you to color.